Hello there. 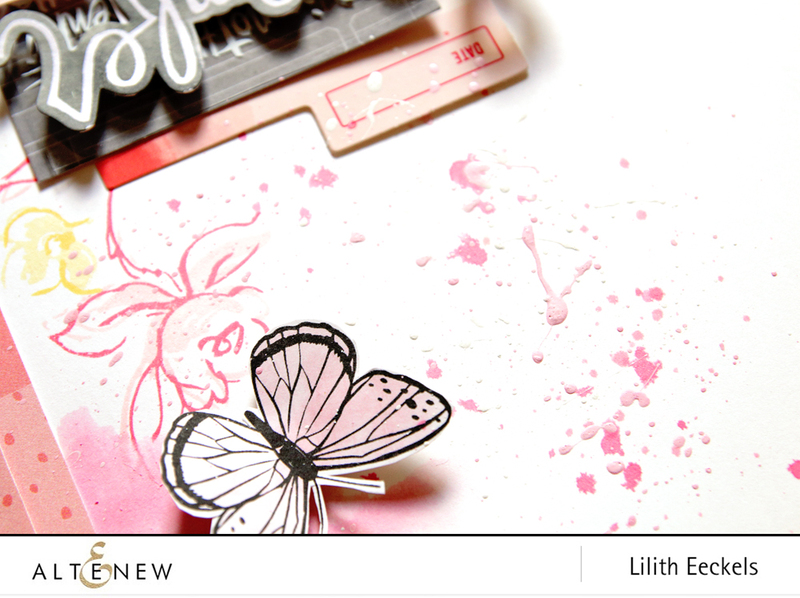 It’s Lilith with a new layout using the Golden Garden Stamp set. Today I’ll be sharing my creative process of making a project for Altenew. You’ll get to see a bit more of me than my hands. The Golden Garden stamp set was my starting point. 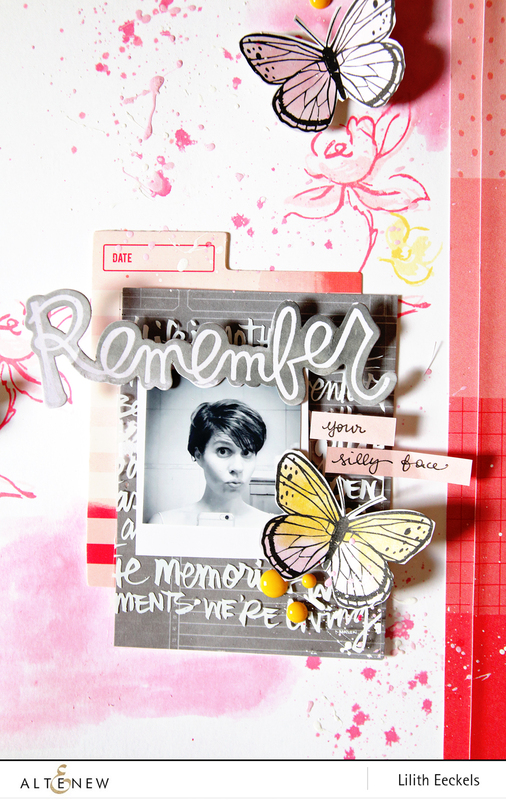 Once I had rummaged through my stash and picked the papers and embellishments I set to work. I love the look of this set as it suits the whimsical feel of the layout. Here is the video to go with it. Please excuse my funny faces. I am very expressive and my facial expressions are all over the place. It has been a while since I played with paints and I really wanted to add some splatters. I’m so glad I did because I love the way they look. I used to use this technique a lot a couple of years ago but as time went by I stopped. The inks I picked out for this layout were based on the patterned papers I had chosen and I love that I can always find the exact colour I need in the Altenew Inks. Golden Garden stamp set (the bundle with the die set is available in the store here). Have a wonderful day and happy scrapping. This is SO pretty! 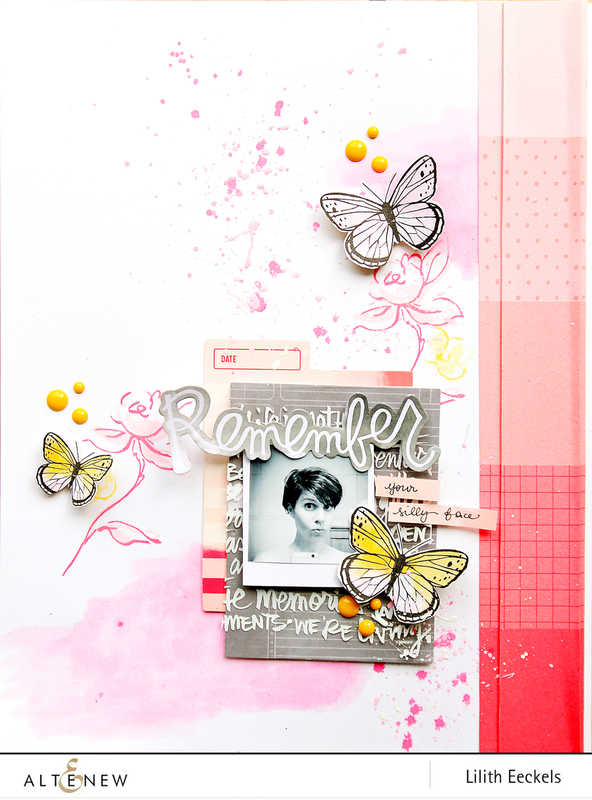 That Elle’s studio paper is a real favorite of mine and your stamping really compliments it. Lilith – I LOVE everything about this amazingly beautiful layout – but my favorite thing is the gradient border on the side – so refreshing and gorgeous!! What an excellent job you have done on this! !